First of all, about those many ways of smiling. Let’s compare. How many ways of smiling do you have? Most of us can manage just one or two. With small variations possible. But not this guy. What’s with that? So let’s bring on..
Because Lin-Manuel has so many of those smiles, it’s absolutely fascinating. Here’s how I propose to investigate, Blog-Buddies. Comment on the smile as a body language. What’s the message? Then go in and read two of Lin-Manuel Miranda’s chakra databanks. Revealing more about what’s going on beneath that suave surface. Incidentally, what if you’d like more background on “chakra databanks” and more? Scroll down to the end of this article. Context is always interesting when you profile somebody. Both body language and aura — they don’t happen out of nowhere. Do I have a clue about what was going on right before each photo was taken? Not a clue. If any of you can sleuth this out, by all means, comment away. 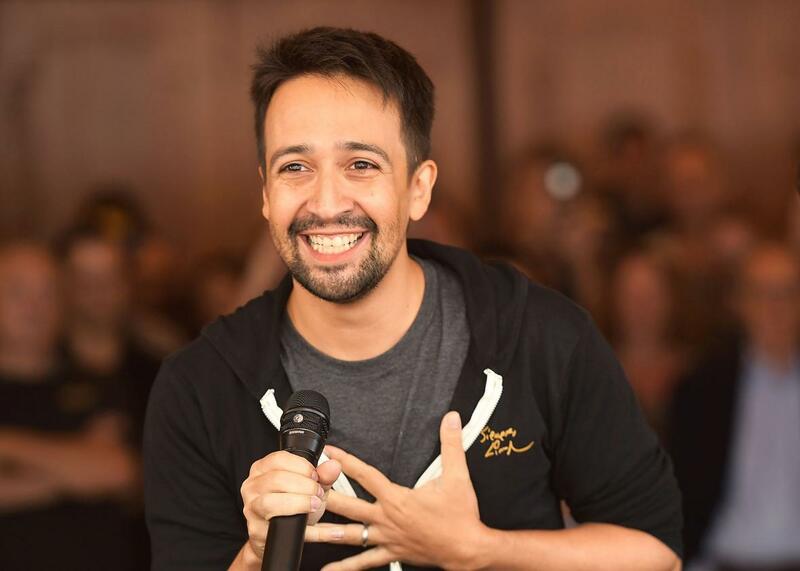 Here’s your link to a new Lin-Manuel Miranda Smile. Incidentally, this is the photo I used for the December 2017 Newsletter’s main article. Body Language Description. Facial Gymnastics of Lin-Manuel Miranda! Pushing out the sweetness, revealing nothing else. Lips are kept closed, with corners raised just the slightest bit. Seems like Lin-Manuel is actually pushing his closed lips against his teeth. As evidenced by the lip texture (fanned out slightly). Cheeks don’t lift. Eyes don’t scrunch. But IMHO those eyes seem to glow warmly, expressively. A fake smile to be sure, yet endearing. A facial performance more than an expression. Lin-Manuel Miranda conveys sweetness and warmth. Convincing acting job! Fills the room. Larger than normal, but he is performing. As befits a professional actor graced with charisma, Lin-Manuel Miranda does what? Convincingly he expresses sweetness. Kindness. Humility. And gratitude. 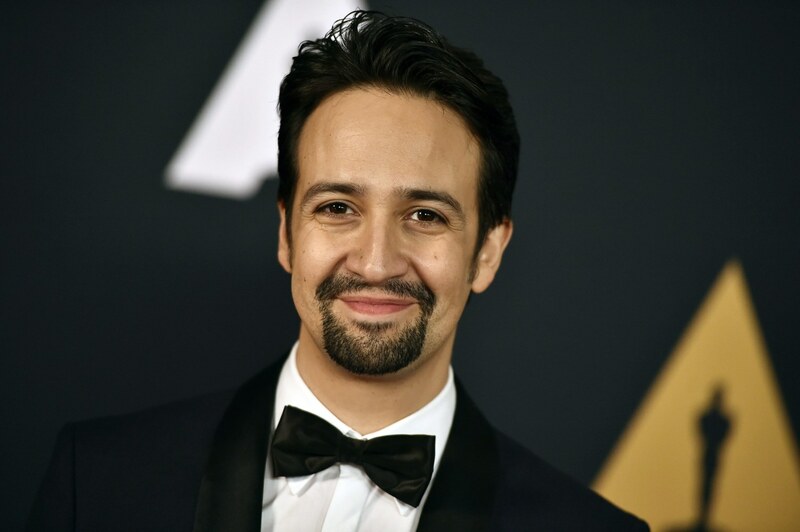 Here’s your link to a completely different Lin-Manuel Miranda Smile. If you try to copy all these smile components… Well, good luck. Few people could manage this one. Upper lip raises up so high, gums show as well. Cheeks pull out to the side. Muscles around the eyes don’t move. 14 feet. Really, really excited. Broadcasting that spontaneously, because he feels that. 80 feet. Really, really excited. By what he’s personally receiving. Here’s your link to an altogether different Lin-Manuel Miranda Smile. This has to count as a smile. Sorta. Raising the corners of his mouth, ever so slightly. Not opening up those lips. Head tilts to the side. Perhaps as mysterious in its way as the Mona Lisa smile. Mostly bland. Seems to me, Lin-Manuel Miranda is trying to keep his personal balance. While dealing with all the attention. Note: A caption for this photo suggests he’s being interviewed before being nominated for his Oscar Nomination and Potential EGOT Win. As in Emmy + Grammy + Oscar + Tony. Humanly overwhelmed, once again. Yet inwardly serene. By now, he’s accepting and, also, not accepting… so much public attention. Finding his poise amid the emotional wallop. Here’s your link to a different Lin-Manuel Miranda Smile. This highly coordinated man can easily pull off this convincing imitation of a real smile. Showing the upper row of teeth. Including a bit of the gums above. But the lower lip covers some of Lin-Manuel Miranda’s upper teeth, hiding the bottoms. Corners of the mouth turn up. But this isn’t a genuine smile. As the cheeks don’t lift. And the eyes remain unchanged. Definitely a convincing imitation of a smile. Although not the least bit mirthful, not a real smile at all. How does that eye gaze look to you? I’d describe it as direct but weary. As though the celeb doesn’t have much more to give, on that particular photo shoot. On that particular day. Personal energy level is way depleted. Can’t wait to have this particular photo shoot etc. over and done with. Be able to go home and res. Doesn’t want to feel unappreciative. Nor act unappreciative. But really, he feels so weary. Can’t he just go home? Body Language, Aura. For Smile #5. Finally, a Genuine Smile! At least, it’s new if you didn’t open up the link from KATHLEEN, Comment #2 at the earlier Lin-Manuel Miranda blog post. Well, let’s check this out, shall we? What makes this smile genuine? Lips aren’t recruited to frame his teeth. Those lips simply part. Teeth show. Not all of them. Enough of them. Cheeks lift. Ha ha! They can! Lin-Manuel Miranda is smiling, really smiling. Not smiling like a performer. Smiling like a person. Vice-President Biden is good at that. According to his fans (of which I’m one). He tends to bring out the human in fellow humans. Biden placed his hand on the performer’s upper chest. A beautiful exchange between the two men, yet Miranda has learned to protect himself from anyone grabby. Even grabby out of admiration. A Divine blessing sparkles out to help Biden. Totally spontaneous. Note from aura reader Rose about Mr. Biden. No he’s not in Enlightenment at the time of the photo. Unlike Mr. Miranda. However, Biden is deeply committed to serving humanity. And willing to be human, in all its awkwardness. And he’s definitely a man who lives from his heart. In Enlightenment, sometimes a person will serve as a Divine conduit. (Even more often than this happens pre-Enlightenment.) Seems to my perception that special Divine light went through Lin-Manuel in that moment. Just so that he could give back to Joe Biden. 80 feet. Temporarily extra-large, Lin-Manuel Miranda receives a grandfatherly blessing. Because that’s what Mr. “lives from the heart” knows how to do. And it’s interesting to me that, with all the praise and adulation flung at Lin-Manuel… How often does it happen that another world-famous public figure walks over to him. Pedestal free. And gives to him in a loving way, no strings attached. No wonder, Lin-Manuel Miranda’s aura shows extra-large receiving. And his face, finally, breaks out into a very genuine smile. Why does Lin-Manuel Miranda have so many smiles available? Actually I’ve pondered this a LOT. By now, here’s how I make sense of all this. Just Rose Rosetree’s point of view. Seems to me, Lin-Manuel Miranda is an extraordinary communicator. Like his ability to fashion those amazing, rhyming rap lyrics. Improvising new versions to fit different performance contexts. Similarly, he has a performer’s physical coordination… and this to an exceptional degree, as well. Therefore, he’s able to communicate spontaneously with a bigger smile repertoire of anyone I’ve seen. I’d call it a privilege, having the tools to do today’s aura reading. Hope you’ve enjoyed it, Blog-Buddies. And a sound-based aura reading of him as well. Might I suggest? Check out the comments for each of these articles. That’s where our posts get really lively, thanks to Blog-Buddies like you. Next, about aura reading and chakra databanks. Ha, I just gave you some sweet links! Interesting because you can find so many books about each one of these specialties. But have you ever heard of combining all three? In a quality way? Not only can I do that, as in today’s article. You can learn to do that! Unrelated to this post, but perhaps related to your personal growth! What has just gone live at this website. A description of new RES workshop #4 of 5. 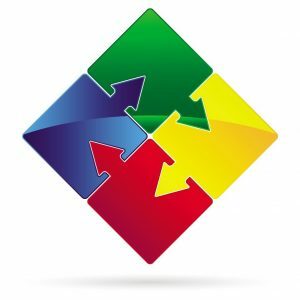 Curious how you might become more Happy, Self-Confident and Productive as an HSP (Highly Sensitive Person)? This is such an awesome blog post. I love the format, so great for learning. Wow I agree with Isabella, I feel like I’ve learned so much! I especially loved reading about the interaction between Biden and Miranda. Thank you for this Rose. Saw Mr. Miranda on TV last night – understood him better after reading this post. This is wonderful, so educational! A delight to read. Mr. Miranda has many gifts and talents, and the street smarts to use them without being used himself. How unusual (for me) to see someone use their charm and not come off as fakey. So my question is this – is that the difference between natural born charm and the charm that is learned, like a skill? Whatever gave you the idea that charm is learned? I wonder, how many of you Blog-Buddies think that authentic charm is something that you can learn. Or buy. Or wish your way into having. My answers go: No. No. Ridiculous. Many unscrupulous folks on the internet — and others who are just plain foolish — may make promises like this. Those would be empty promises. Who needs to “develop” charm? And most of us don’t have it. Well, so what? Honestly, here’s one of the ways I view life. As a result of so much aura reading and so many Skilled Empath Merges. Each of us is loaded with talents. Just not the identical talents. What we don’t have, sure we can pretend to have it. Or try to develop something that can only be born within us as part of the soul expression. So many other things can be developed. “Skills,” as you say, LIANE. What a colossal waste of time to try to develop a gift that we just plain don’t have. Related teaching tale, remembering details as best I can. From something that happened at least 20 years ago. I was booked to give a workshop on aura reading at a yoga center. My workshop coordinator, Gladys, called up to make sure all the details were confirmed. But that wasn’t enough. She kept me on the phone an extra 10 minutes (felt like much longer), boasting to me about how she had “developed” clairvoyance. How hard she worked, for two years, doing her clairvoyance exercises each day. Working so hard. Curiously, I don’t remember her participating in the least during the workshop I gave. A workshop where, as you can appreciate, LIANE, I didn’t tell people to pretend or try or force themselves to have aura reading gifts… that they simply didn’t have. While I cannot say that I am not expecting one, I would love to get a pony on Christmas morning! On a more serious note, I have seen a lot of displays of buckets of charm in people. And I am not one bit surprised that it is a gift of the soul and people are just born with it. It is really amazing to watch people who have charm, because it can be utilized to influence people more than anything else I have ever seen! It is one major power tool! Thank you Rose! Couldn’t agree with you more – it’s a waste of time ‘learning’ charm. That would be like learning how to be an empath. Either you are or your aren’t. I know people who ‘turn on the charm’. Being so obvious and transparent, they clearly haven’t ‘learned’ charm skills very well. Haven’t heard the term ‘charm school’for a while, made me laugh. One may be able to learn manners at charm school, but never charm… making my original question silly. I love your answers and teaching tale! Thanks for this reading and the face reading of Miranda that you did in the newsletter. Fascinating! It is amazing how his face is a perfect reflection of his soul. I came across this article because something about Lin manuel Miranda’s expression disturbs me. It’s somehow not real, it’s false, it manages to feel like an act, you actually don’t know who he genuine person is behind it. Maybe its expressive but it’s also a mask that I find entirely uncomfortable. Some of he things you said confirm what I sensed. Thank you for sharing, LISA. And welcome to the blog!